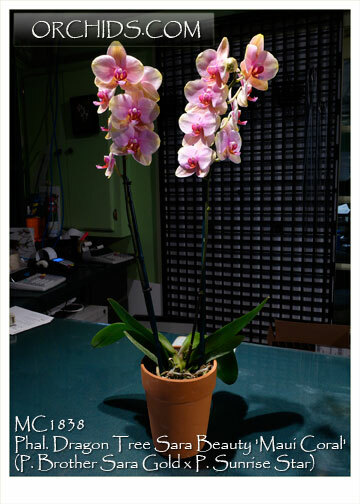 Glowing from within, ‘Maui Coral’ is the result of a sunset parent, Phal. 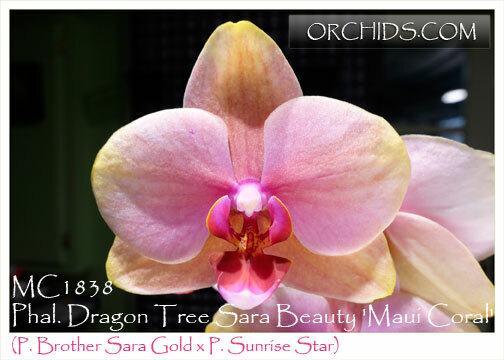 Brother Sara Gold, bred to a standard yellow with a brilliant red lip and central blush. Bearing extremely good flower substance and a compact spike habit from its pod parent, these are already flowering in 2.7” pots. A fabulous mix of both parents, garnering the best from each. Highly Recommended !